Notification of the passing of WWII veteran and retired DL Captain Myron Frese. Born in Texas on October 6, 1924 Myron Henry Frese was 87 years of age at the time of his passing June 4, 2012. Captain Frese hired on with Delta 08-11-1953. 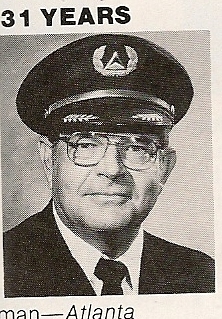 The October 1984 DeltaDigest notes his retirement with 31 years of service based Atlanta. FRESE, Myron Captain Myron Henry Frese of Atlanta passed away June 4, 2012. He retired from Delta Airlines after 33 years of service as a Captain. Captain Frese was a beloved husband and father and is survived by his wife of 57 years, Neva Frese of Atlanta; daughters, Aven Johnston and her husband Steve of Birmingham; Alison Frese of Roswell; Alicia Frese-Klenk and her husband Bill of Newnan; grandchildren, Jase Johnston of Marietta; Hallie Grey Johnston of Birmingham and Elizabeth Johnston of Auburn. Memorial services will be held on Thursday, June 7, 2012 at 2 o'clock at The Episcopal Church of St. John, 3480 E. Main St., College Park, GA 30337. The Rev'd. Fr. Troy C. Beecham will be officiating. In lieu of flowers those desiring may make donations to St. Jude Children's Research Hospital , www.stjude.org; to the American Society of Prevention and Cruelty to Animals, www.aspca.org or to The Episcopal Church of St. John, 3480 E. Main St., College Park, GA 30337. Parrott Funeral Home and Crematory, 770-964-4800. Published in The Atlanta Journal-Constitution on June 6, 2012. 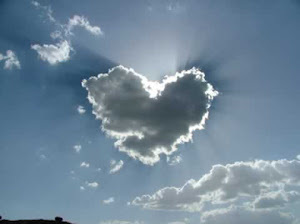 Services: Thursday, June 7, 2012 at 2 o’clock at The Episcopal Church of St. John, 3480 E. Main St., College Park, GA 30337.